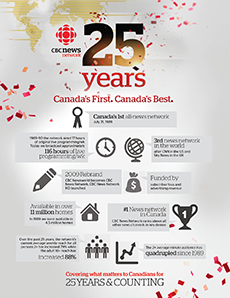 CBC News Network is turning 25, and we want you to be a part of this landmark occasion. 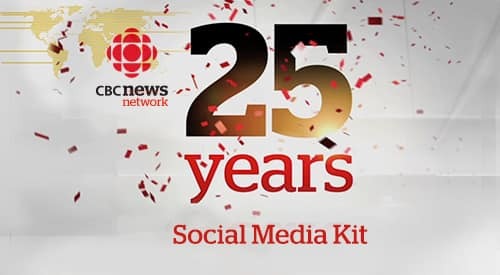 Help us tell a story over two decades in the making, covering Canada and the globe, and bringing Canadians the news, stories and perspective that matters – when it breaks. As we look to the future, please join us as we celebrate the faces, stories and milestones that helped shape what we are today. Please visit our FTP site to download broadcast versions of these promos. The :30/:25 broadcast are available NOW on the CBC FTP site.